The mobile world has spent the past 7 years finding solutions to the capacity crunch. A range of new technology and spectrum bands are on their way. The new intellectual challenge for the next 7 years will be a “coverage crunch”. It has become a three layered problem. There is the basic level of simply getting a signal. One would have thought this would have been solved long ago. After all we’ve had 30 years of cellular radio. However today we find there are reasons why effective coverage is becoming progressively worse. 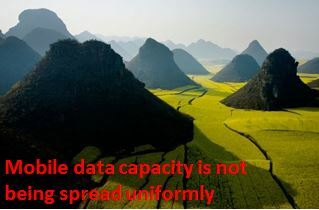 The second layer of the problem is the “coverage of capacity”. Almost all of the new spectrum bands have poor propagation characteristics and the new technologies are also poor at spreading the enhanced capacity over wide areas. The third layer of the problem is the coverage of dependable connectivity needed as our digital life becomes ever more essential. This coverage challenge is a combination of the other two factors ie enough signal and enough capacity at the instant it is needed. The first wave of cellular radio had an enormous competitive energy behind extending coverage of not just cities and towns but where people took their holidays and leisure. 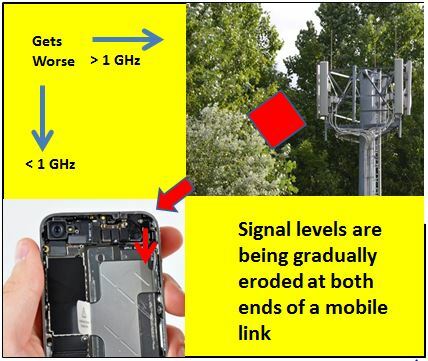 Mobile phones also had very high performing RF front ends and aerials that off-set, to the extent possible, the relative few base station sites of the initial roll-out. Today the RF performances of mobile links are being decimated by adverse things happening systematically at both ends of the wireless connection. 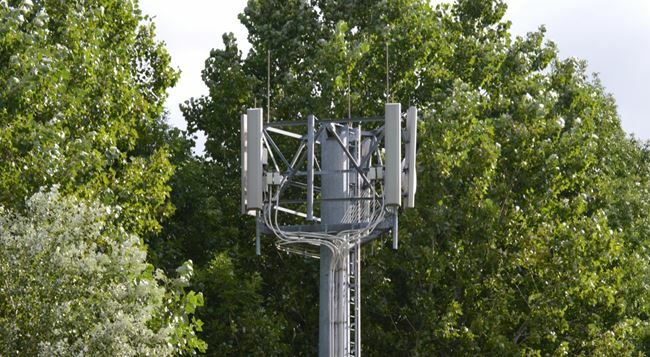 At the base station end UK local planning authorities have imposed mast height limits so that unsightly mast structures can be shielded by nearby trees without realising that these very same trees are also shielding people from getting better mobile signals. Further, trees grow taller every year but radio masts don’t. At the mobile phone end there has been a runaway world of every more spectrum bands being released needing ever more antenna to be packed in a shrinking internal volume of a mobile phone. The mobile’s RF performance has correspondingly degraded. A factor of over 100 has been probably been taken out of link budgets over the past 15 years. In dense urban areas it has been economically possible to install a a very large number of additional cells for capacity reasons but also hugely beneficial for coverage. This has masked the deteriorating wireless link performance for many consumers. That has not happened to any great extent over the rest of the country. Added to this are some modern building materials (foil backed insulation and coated glass) that is leading to weaker indoor mobile coverage. For all these reasons effective mobile coverage is getting worse over large parts of the country and consumers are noticing it. The second wave of coverage problem is being pulled along behind the solutions emerging to address the capacity crunch. Spectrum above 2 GHz is relatively plentiful but has poor radio wave propagation. 4G technology offers stellar capacity close to the radio masts but performs poorly at the cell outer rim in busy periods. For fully loaded cells massive data sink holes can open-up in this outer cell coverage rim. In dense urban areas small cells can be located at these macro-cell boundary edges to boost local capacity and relieve the capacity pressure on the wide area cells. Outside of dense urban areas, where it is not economic to deploy small cells in large numbers, there will be a growing “coverage of capacity” problem. The trend towards mast site sharing means that all the mobile operators’ cell edges are being aligned on the same hapless customers. The third wave of coverage problem arises from some potentially important applications demanding dependable wireless connectivity. E-health, driverless cars, some IoT applications could all grow on the back of really reliable wide area mobile wireless coverage but the trends currently playing out make these prospects unlikely. 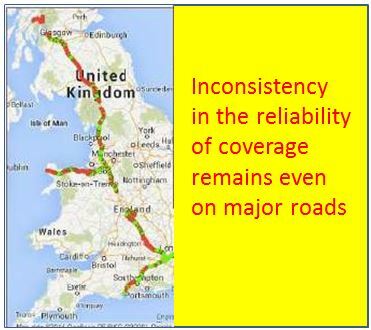 The coverage of dependable connectivity needs a specific focus in its own right over the areas of interest eg roads. (1) Some of the solutions are beyond the reach of a single mobile network operator to implement on their own. (2) The Internet based digital economy breaks the link between investment in mobile network infrastructure and “over the top” service revenues – so investment to solve coverage issues is lacking a financial input from the “service level”. In addition competitive pressure to extend coverage has become weaker as mobile operators find themselves more and more sharing the same masts. (3) Nobody has really taken overall ownership of the entire canvass of coverage issues. We lack an overall plan of action and that includes the research community. The mobile community (operators, industry, regulators and the research community) have been very effective in pulling together solutions to address the capacity crunch. There are enough lined up on the run-way to keep everyone busy for the next 10-15 years implementing them. It is time the same resolve and collective intellectual energy to be applied to the coming “Coverage crunch”. The University of Surrey 5G Innovation Centre will shortly be publishing a White Paper on Rural 5G that hopefully will find some traction within the research community. You are currently reading "After the Mobile “Capacity Crunch” comes the “Coverage Crunch”"